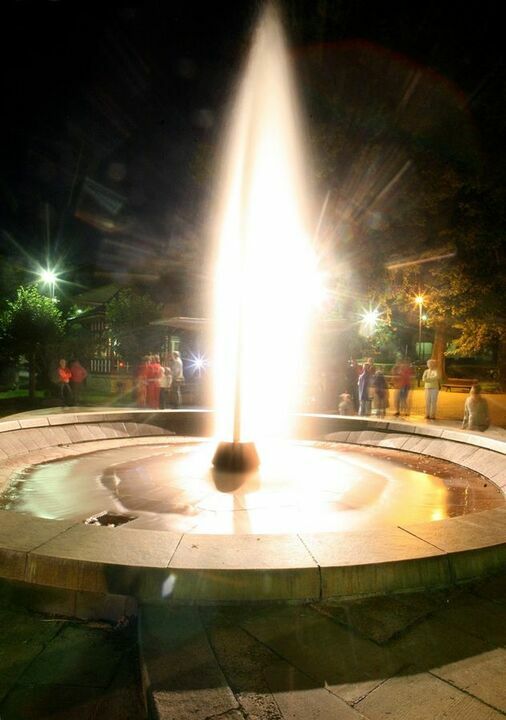 In the 1870s, an artesian well was drilled here in pursue of another mineral water source for the expanding spa. The 404.5 m deep probe brought up a strong spring of the mineral water. Now the periodicity of emanation is about 32-34 hours. 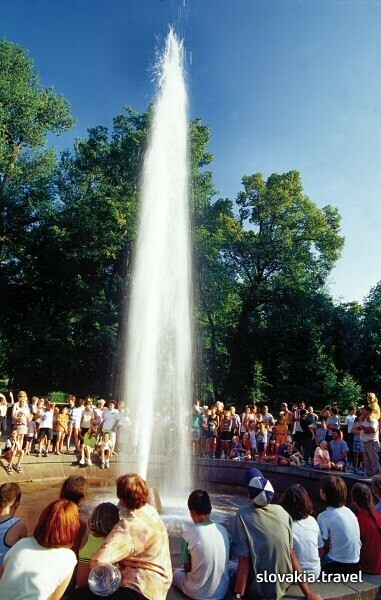 The water springs for about 20-30 minutes to the height of maximum 20 metres. The yield of one eruption is about 600 hl of water. As this unique natural scene occurs approximately every one and a half days, the tourist should enquire by phone at the local post office about the presumed time of its appearance.